The United Brethren church began in the United States and soon branched into Canada. In 1855 we began looking beyond North America, sending missionaries to Sierra Leone in West Africa. Over the years, scores of missionaries have served there. Some have died there. Then, in the 1900s, we launched into many other countries–China, India, the Caribbean, Central America, Mexico, and southeast Asia. We have about 200 churches in the United States. Here is an overview of how our work started in each country outside of the United States. They are listed in the order in which the work started. In 1826, Bishop Christian Newcomer crossed into Canada at Fort Erie (across from Buffalo, N.Y.) to preach, and a year later some small churches were organized. They were neglected and eventually disbanded. However, another Ontario minister named John Cornell liked what he heard about the UB church, and proposed a connection with them. Soon, a UB minister named Israel Sloane was in the pulpit at Cornell’s church in Sheffield. Meanwhile, Rev. Charles Price came to the Niagara area in April 1855 and started a number of preaching points. Other ministers from the USA came and started churches. And in April 1856, Bishop J. J. Glossbrenner officially organized the Canada West Mission District. It then consisted of 7 organized churches, and 152 members. Today we have 10 churches in Canada, all located in Ontario Province. The Canadian national conference is called the United Brethren Church in Canada. The US and Canadian conferences use a joint ministry agreement to work together through Global Ministries. The Canadian churches have taken a strong interest in Haiti since the Haitian churches affiliated with us in 2000. Canada’s missions team now provides primary oversight for our ministry in Haiti, and UB people from Canada regularly travel to Haiti. Through the years, Sierra Leone has been our largest mission field. Missionaries were sent in 1855, and the first two churches were organized in 1876. The work grew to include a hospital, dozens of primary schools, five high schools, and over 50 churches. In 1985, the work in Sierra Leone was nationalized. Missionaries continued serving there, but under the leadership of Sierra Leoneans. In 1994, all UB missionaries were evacuated because of the rebel war which continued throughout the 1990s and devastated the country. By 2001, a high degree of peace had returned to Sierra Leone. The Mattru Hospital reopened, and our churches have been rebuilding and expanding. For several decades, we operated a school for Chinese people in Oregon. The school closed in 1931, but it served as a bridge for opening a school near Canton, China, in 1932. This work was discontinued after the communist takeover of China in 1949. Dr. Y. T. Chiu, the original contact in China, then moved to Hong Kong and started United Brethren mission work there in 1950. The Hong Kong Conference was officially organized in 1962. In 1997, Hong Kong became part of China (it had been governed by Great Britain). Hong Kong’s leaders have aggressively reached out to neighboring countries. Their initiative led to the establishment of work in Macau (1987), Thailand (1993), and Myanmar (1998). No missionaries have ever served in Hong Kong; it has always operated fully under Chinese leadership. Our work in Jamaica goes back to 1945. Originally, Rev. James B. O’Sullivan, a Jamaican living in the United States, was sent to investigate possible new mission work in the Bahamas. On the way there, a hurricane shipwrecked him off the coast of Cuba. Several weeks later, he made his way to Jamaica. By then, the mission board had decided against expanding into the Bahamas. Instead, they invited O’Sullivan to begin working in Jamaica. That is how Jamaica Conference got started. A conference of eleven churches was organized in 1952. Today, there are nearly 30 churches. In 1929, Rev. 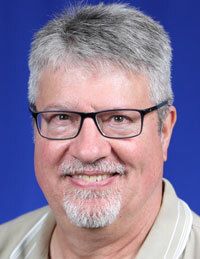 James Elliott left his native Belize to pastor several English-speaking churches for the English Methodist Church on the north coast of Honduras. A year later, the Methodists abandoned their work in that country, but Elliott remained. Around 1944, he came in contact with the United Brethren church. Beginning in 1947, missionaries were sent to teach in Elliott’s school in La Ceiba and to help out in the churches. The work took a major turn in 1952 after the Archie Cameron family arrived in Honduras. Cameron, along with Honduran coworker Eudaldo Mejia, focused major attention on the largely unevangelized Spanish population. When Elliott’s English-speaking churches (against Elliott’s wishes) severed their relationship with the United Brethren church in 1953, the Camerons stayed and focused entirely on the Spanish-speaking population. The first Spanish church organized in 1953, and Honduras Conference officially organized in 1956. Over the next 20 years, Cameron helped start numerous churches in villages throughout northern Honduras, the work expanded into the southern part of the country, and the large Bethel School (now 2000 students strong) was established in La Ceiba. Since 1990, the Honduran churches have operated under national supervision. 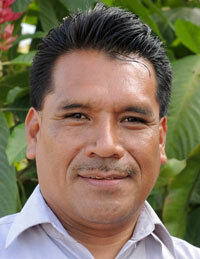 Honduras sets the pace in church planting, and is responsible for starting churches in both Nicaragua and El Salvador. 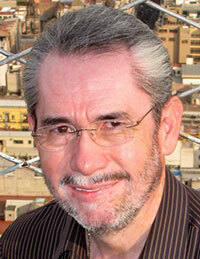 In 1965, Honduras Conference sent one of its pastors, Juan Campos, to Nicaragua to start churches. He was joined in 1970 by Rev. Guillermo Martinez, a native of El Salvador whom Honduras expelled following the 1969 Soccer War between Honduras and El Salvador. Under the leadership of Martinez, the work expanded. The Sandinista revolution of 1979 started almost in Martinez’s back yard in Masaya. The UB churches in Nicaragua weathered the years of Sandinista rule, and since the establishment of democracy and national elections in the 1990s, the church has aggressively expanded from less than 10 churches to over 30 churches. The Nicaragua Conference was officially organized in 1993. In 1997, two families in Guatemala City began meeting in their homes. The movement grew, and other churches started. In 2000, a UB leader from Nicaragua stopped in Guatemala while on his way to Mexico and became acquainted with these churches. They inquired about the United Brethren denomination. One thing led to another. In January 2010, the churches of Guatemala were accepted as the tenth United Brethren national conference. 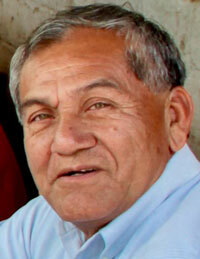 Like many of our Central American churches, most of the Guatemalan congregations minister to the poorest of the poor. Jaime Chun, superintendent of Guatemala Conference. In 1974, we began supporting a missionary couple in India. They became involved in various other ministries, including a large Bible correspondence program and radio ministry. In the mid-1980s, they began working with Indian ministers to start churches in remote Hindu “tribal” areas. The United States provides oversight of the work in India. In the mid-1980s, Hong Kong Conference approached Global Ministries about partnering to start churches in Macau, a peninsula west of Hong Kong off of the Chinese mainland. 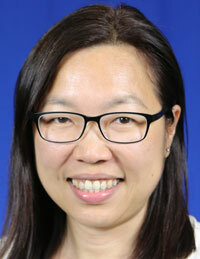 The United States provided two families, and Hong Kong provided a Chinese coworker. Many Global Ministries staff and volunteers have served in Macau over the years. The work focuses on two areas: a school for teaching English, and church planting (mostly using contacts made through teaching). Two UB churches now exist in Macau. In 1999, Macau became part of China (it had been governed by Portugal). More recently, Macau passed Las Vegas as the world’s gambling capital. In 1994, Hong Kong began working among the Akha people high in the mountains of northern Thailand, on the border with Myanmar, in the area known as the Golden Triangle. 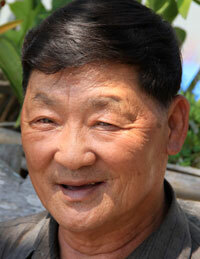 The Akha are a group of people who migrated from China in the early 1900s. Rev. H. M. Lee, a Thai minister, has spearheaded the work from the beginning. The work includes churches and schools in two villages. Hundreds of people have become Christians in this predominantly Buddhist area. The work in Costa Rica began in 1995 as an outreach of Nicaragua Conference. A Nicaraguan pastor who had married a Costa Rican woman spearheaded the work in an impoverished section of San Jose, the nation’s capital. Several churches have arisen, but we are currently down to just one church in an extremely poor–and dangerous–section of San Jose. It operates under the supervision of Nicaragua Conference. Rev. Denis Casco, a Honduran who came to the United States in 1988 to start Hispanic UB churches in southern California, began connecting with a group of churches in Mexico, and strong relationships formed. These churches—about 30 of them, mostly in central Mexico with a cluster of churches across the border from El Paso, Texas—affiliated with us in 1997. 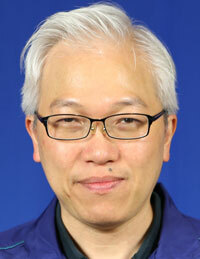 They were accepted as a national conference in 2005, and chose Denis Casco as their bishop. In 1999, the UB churches of Nicaragua, Honduras, and the United States partnered to begin working in El Salvador. 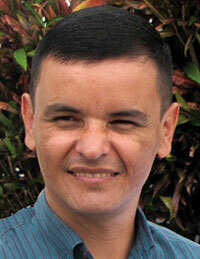 In 2007, the Hondurans sent their best church planter, Rev. 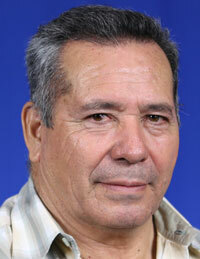 Gonzalo Alas, to start a church planting movement in El Salvador. Rev. Alas had been working in the Copan region of Honduras where previously there were no UB churches. When he left Copan to go to El Salvador, 13 established churches and 5 church plants were functioning. Honduras provides oversight of the work in El Salvador. 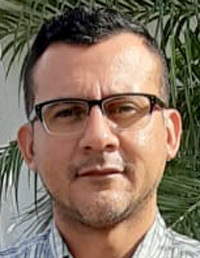 Gonzalo Alas leads the churches in El Salvador. United Brethren work in Haiti began when Rev. Oliam Richard, a Haitian minister then living in Paris, France, learned about the United Brethren church through the UB website. He was supervising a group of churches in Haiti and wanted to find a group for them to affiliate with. Contacts were made. In October 2000, Global Ministries decided to launch into Haiti. Rev. 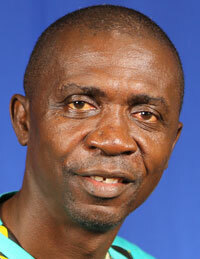 Richard moved back to Haiti to personally supervise the Haitian churches. 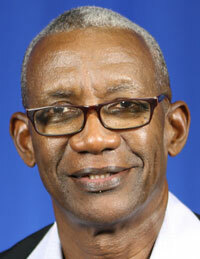 Oliam Richard, superintendent of the churches in Haiti. In 1997, Eric Mustapha, an ordained minister from Sierra Leone Conference, fled the civil war and resettled in Berlin, Germany. 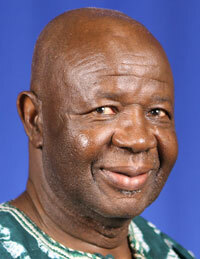 He started a church consisting mostly of other Sierra Leone immigrants. 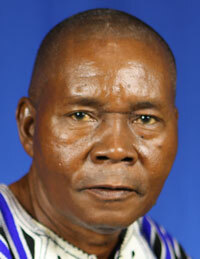 Mustapha later relocated to London, but another Sierra Leone minister, Peter Mansary, assumed leadership of the church. Peter attended the Sierra Leone conference meeting in 2006 and said, “We’re a United Brethren church, and have come back to our roots for a relationship.” He asked Sierra Leone to accept them as a mission district, and the conference agreed. Today, the church is led by Pastor Alimamy Sesay. Alimamy Sesay, pastor of the church in Berlin. In 1981, a group of churches in Liberia took the name United Brethren in Christ. Around 2010, Sierra Leone Conference developed a relationship with them, and learned that they wanted to become part of our denomination. They became a mission district of Sierra Leone Conference. There are about 1100 members in nine churches and two preaching points. 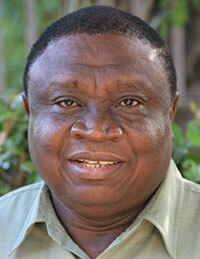 Moses Somoh, superintendent of the churches in Liberia.